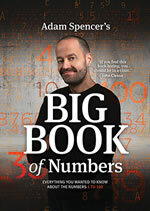 This holidays I wandered through Adam Spencer's Big Book of Numbers (currently sold out). For teachers, if you purchase from Adam's site, I paid a little extra to also get a Lesson Plans booklet. Some extra bits from the MANSW Annual Conference. A summary of the workshops I attended at the MANSW (Mathematical Association of NSW) 2012 Conference. These very brief notes can’t do justice to each session. The youcandomaths campaign encourages all young people and their families to appreciate the important role mathematics plays in many careers and everyday life.